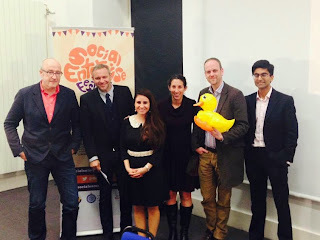 So I was there (as were lots of other people) - the first 5-day festivalof Social Enterprise hosted by Greenwich University (and pulled together by Harsha Patel who we can't thank enough for doing so!). And what's even more exciting was that I wasn't just there to heckle from the back seats and prop up the networking bar, I'd been invited to be part of the headline acts alongside some of social enterprise's rockstars. 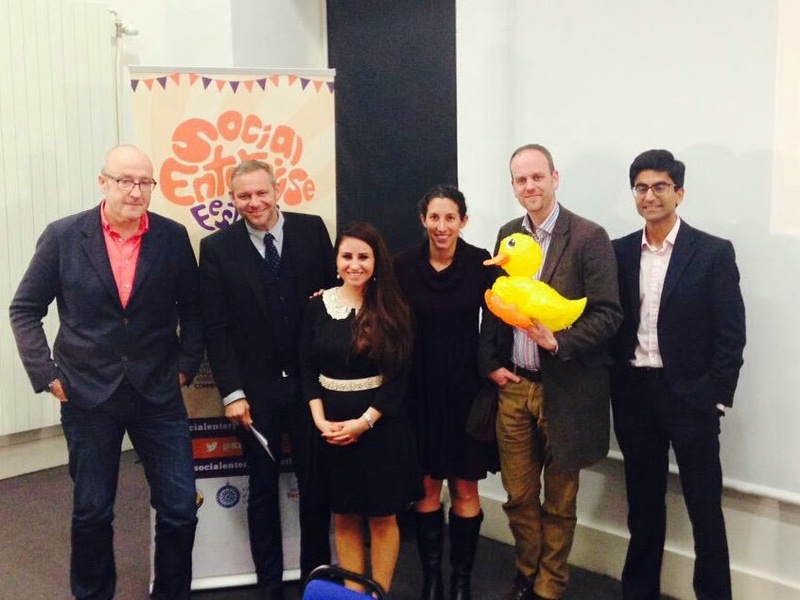 And while others can tell you far better (and honestly) how I really was, and how useful and engaging my activities and support offered were, it strikes me that I may have been either very foolish or incredibly brilliant in my contributions as a keynote speaker to the closing debate - 'should all entrepreneurs be social entrepreneurs?'. 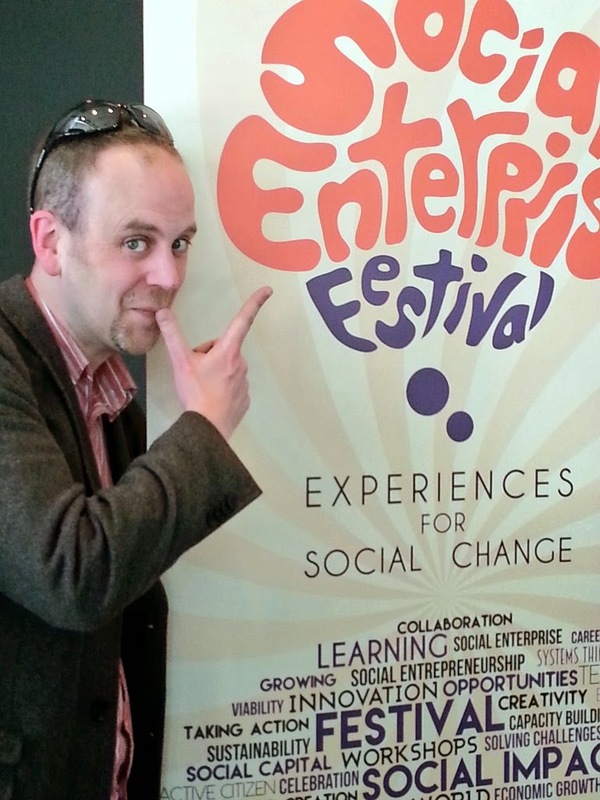 You see, many people I have the privilege to walk alongside for a time in encouraging and supporting them to realise their visions (both as individual entrepreneurs and sector bodies) regard me as a fine example of a 'social entrepreneur'. Except I don't think that I am one - a social entrepreneur is motivated by wanting to change the world for the better, and to earn some money along the way to keep the lights on and the cats fed. A 'traditional' entrepreneur has an idea for how to earn some money to keep the lights on and the cats fed... And I fall into the latter camp - following some questionable behaviour just over 10 years ago by a very large regional business in the sector, I'd relocated to the other end of the country and found myself without employment and a young family to support. But having been raised the way I have, rather than sign on at the job centre (only 2 streets away), I began knocking on doors to find work (and have been hustling ever since). So you see, my motivation is about supporting my family - and part of that is not just keeping the lights on, but also trying to help leave the world is a slightly better place for my kids as they start to make their way into it. And part of how I try and live my life is also trying to manifest certain values and principles in how I work. All of which apparently make me indistinguishable from a social entrepreneur by my actions and impacts. But what does it matter if people label me as something I don't think I am? If it doesn't get in the way of what I'm trying to achieve for myself and others, am I just having an existential mid-life crisis? Is it more important to consider how we act, and the impact we have on others, rather than what we call ourselves? And I bared all of this publicly on stage at a national event in front of media, sector leaders, and hundreds of people who were also wondering of social enterprise is the right thing for them. So - what do you think, was I incredibly clever, disruptive, and have moved the debate on to its next paradigm (never thought I'd use that word in a non-satirical context! ), or have I just ruined any professional reputation and credibility I may have had...?